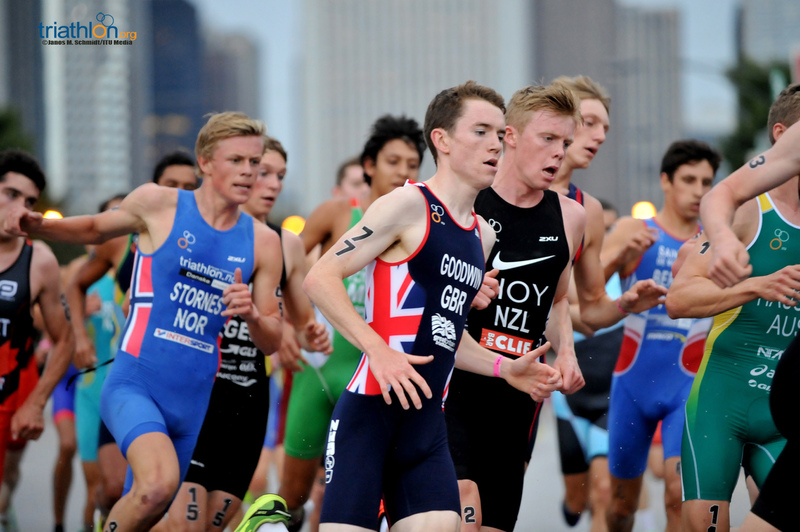 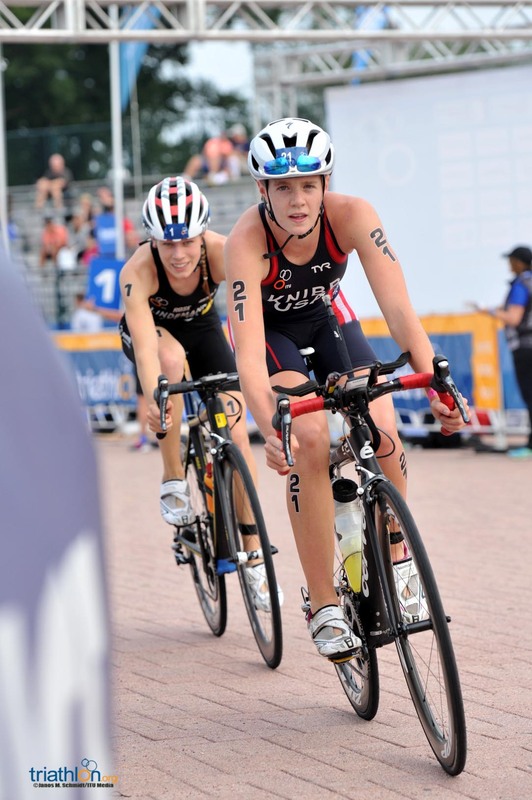 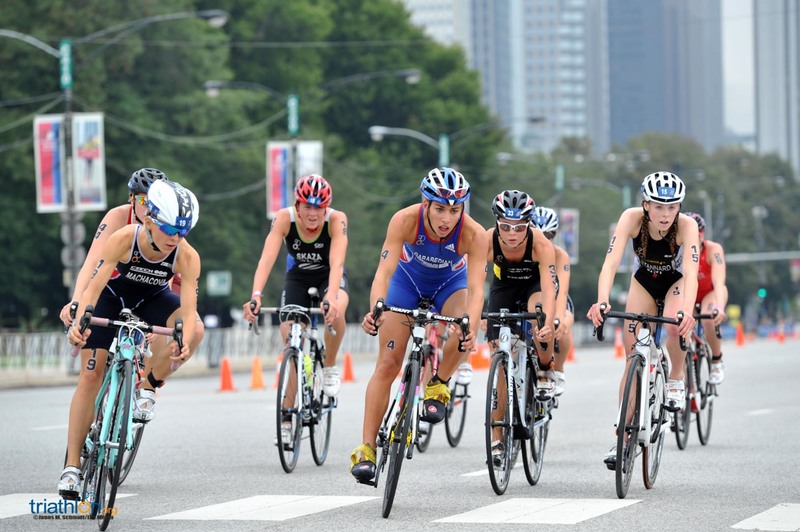 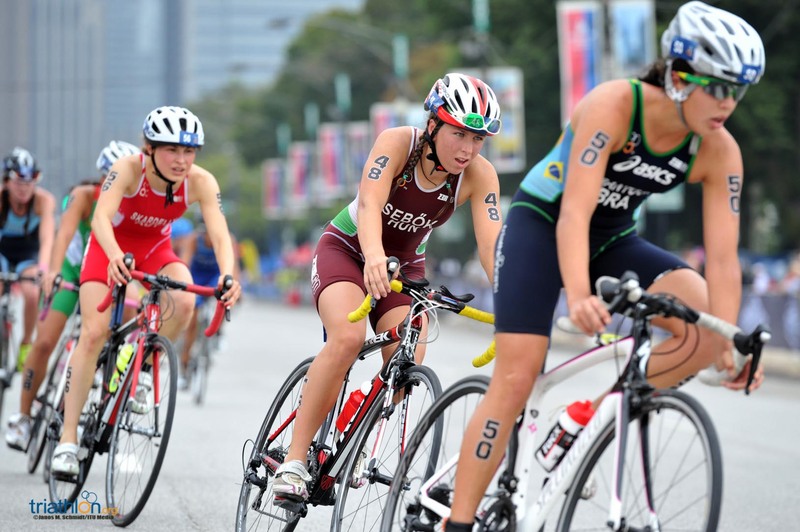 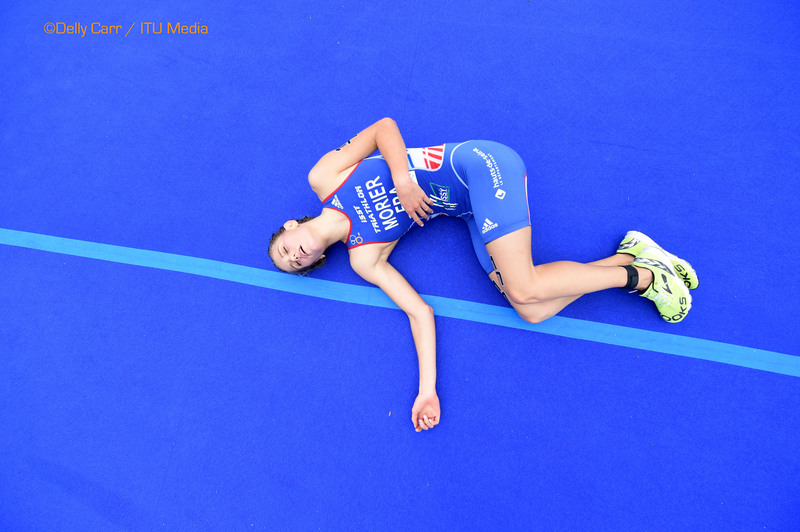 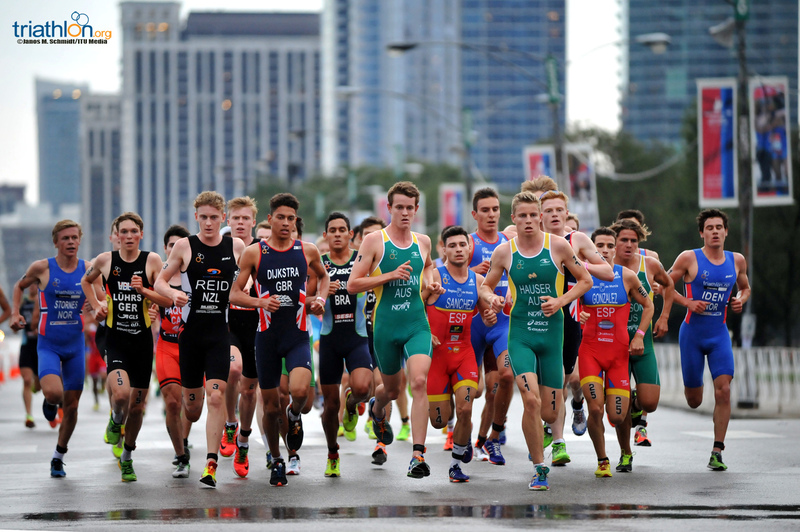 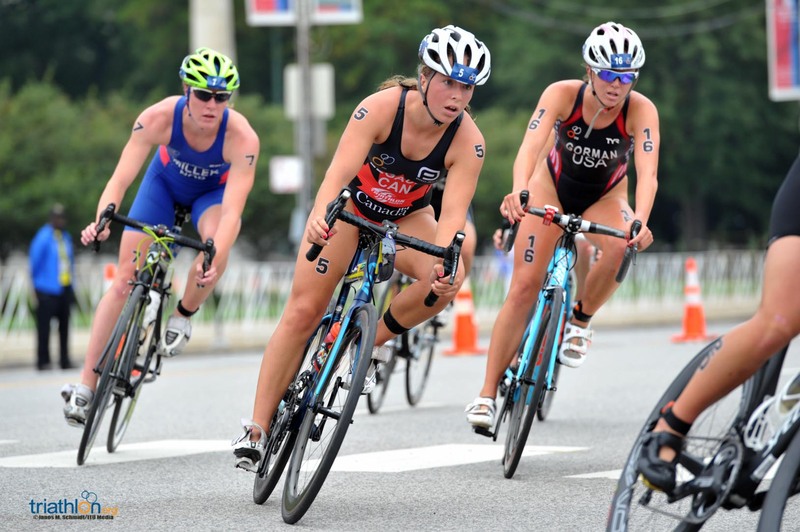 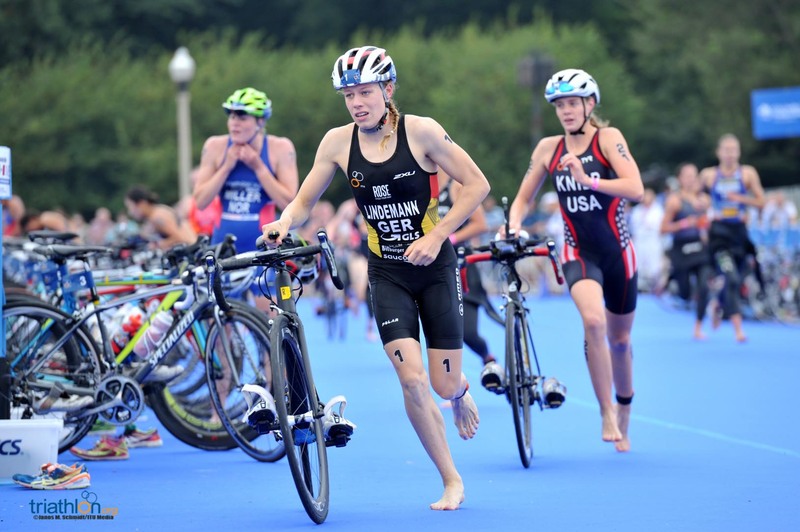 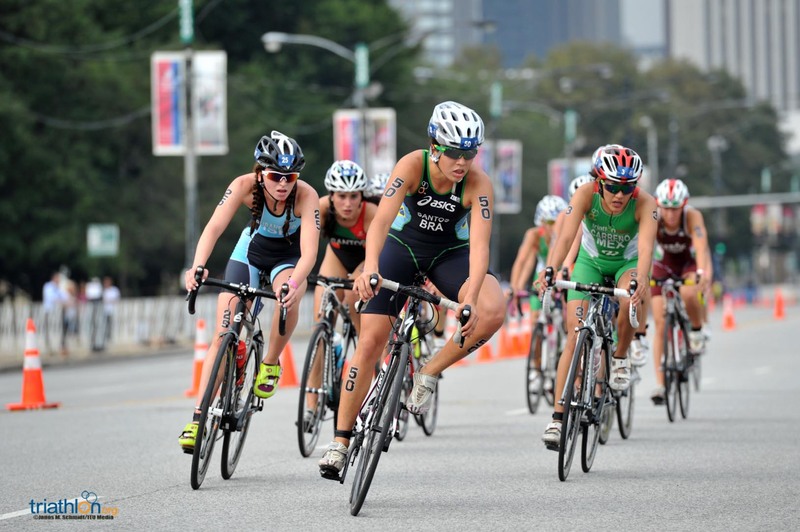 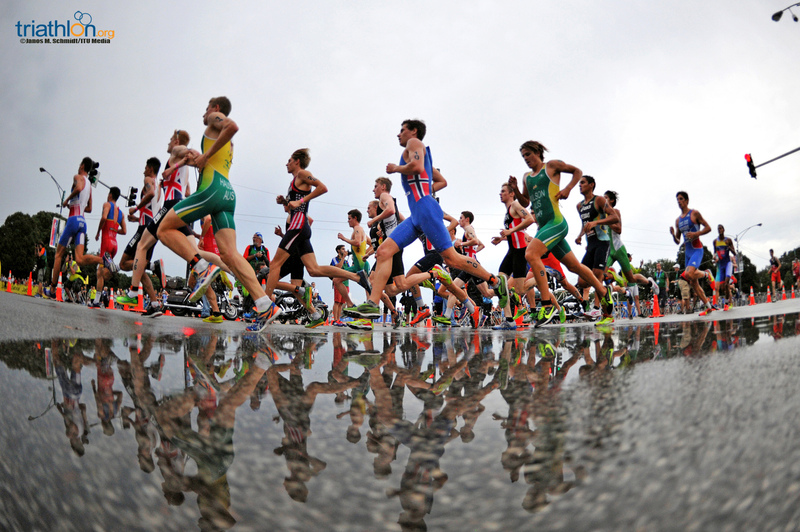 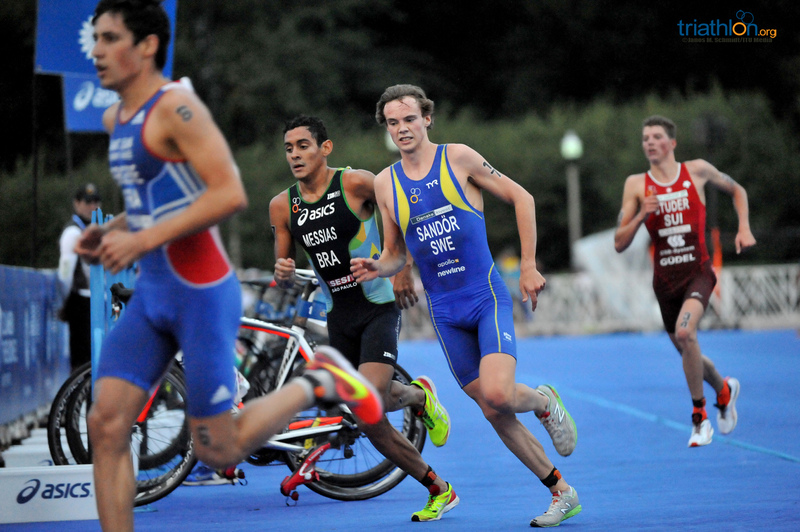 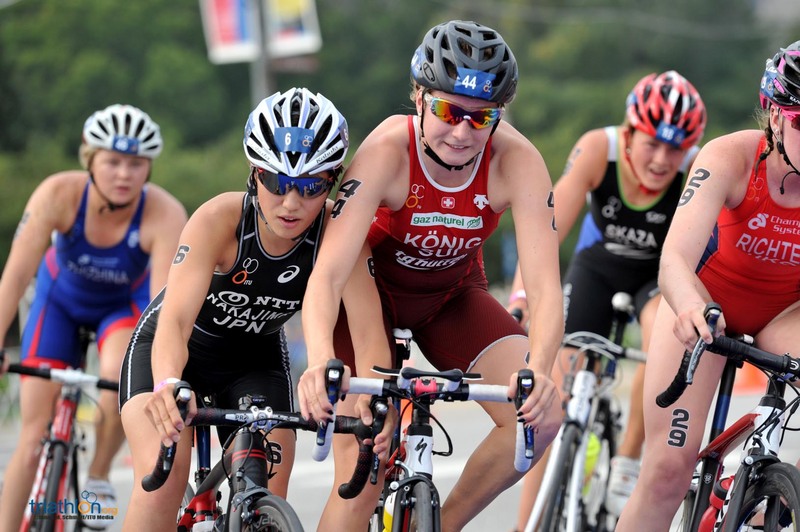 When thunderstorms caused the men’s 2015 ITU World Championship men’s junior race to be delayed and shifted to a duathlon. 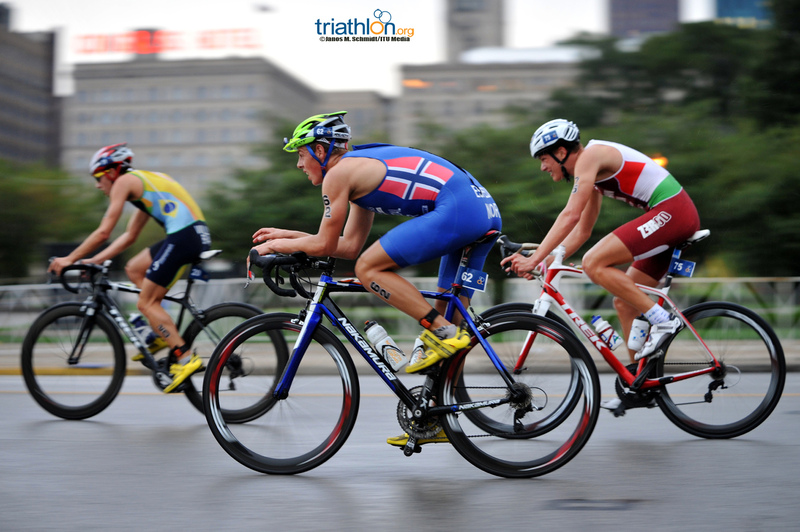 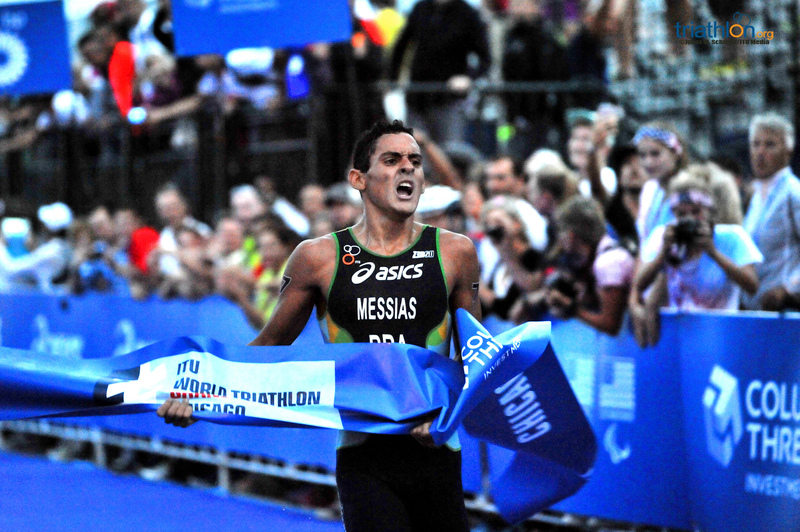 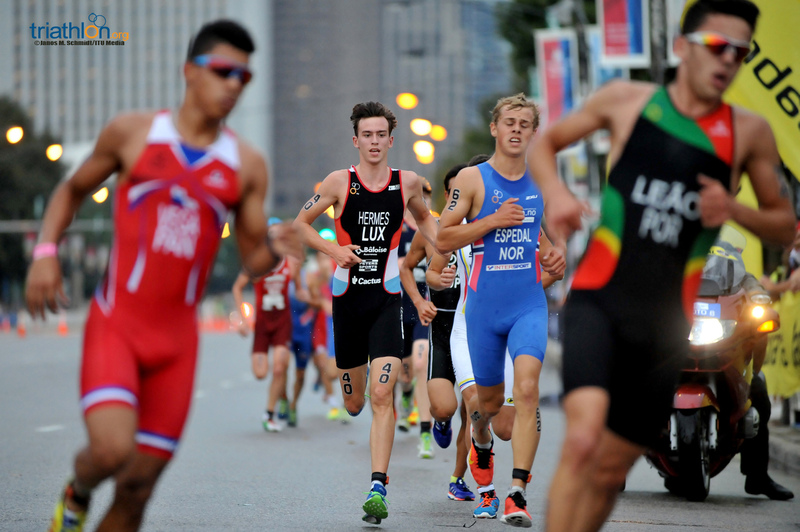 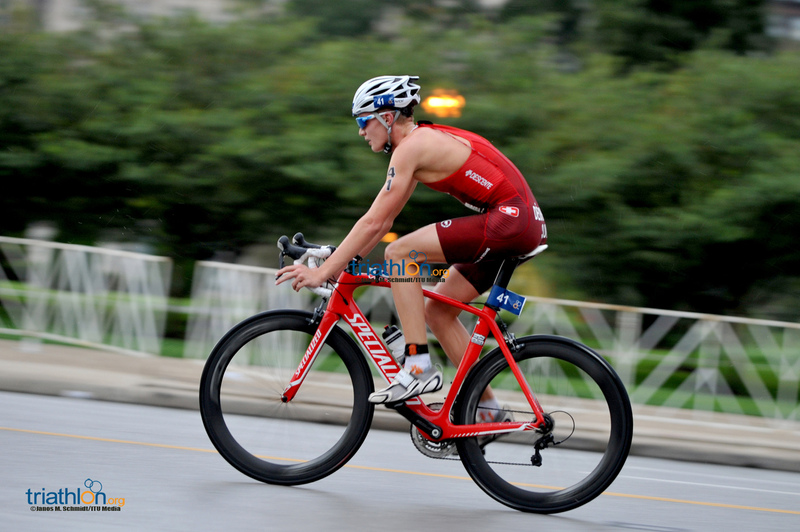 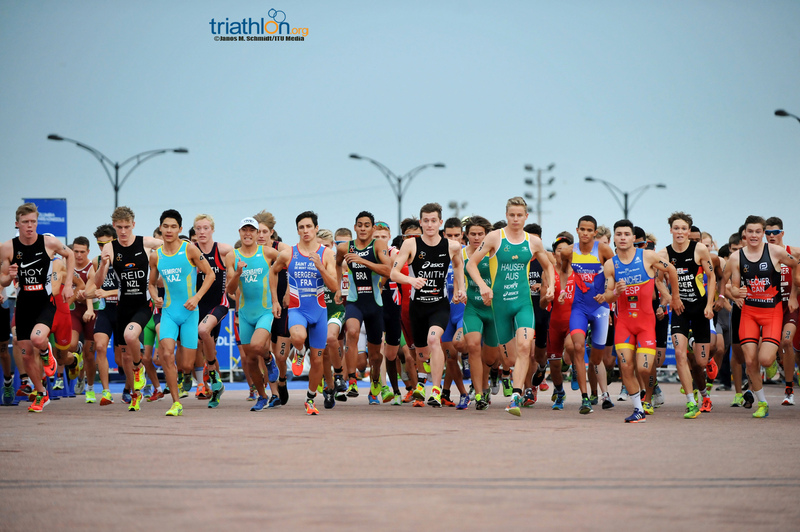 When thunderstorms caused the men’s 2015 ITU World Championship men’s junior race to be delayed and shifted to a duathlon, Manoel Messias (BRA) seized the opportunity to strike hot, scoring his first world title in Chicago. 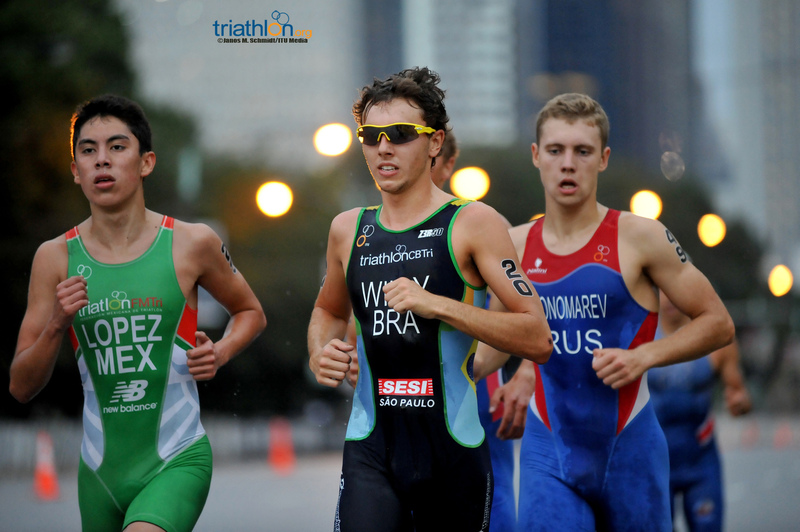 The title is the first time Brazil was represented on the top of the podium at the Junior World Championship race. 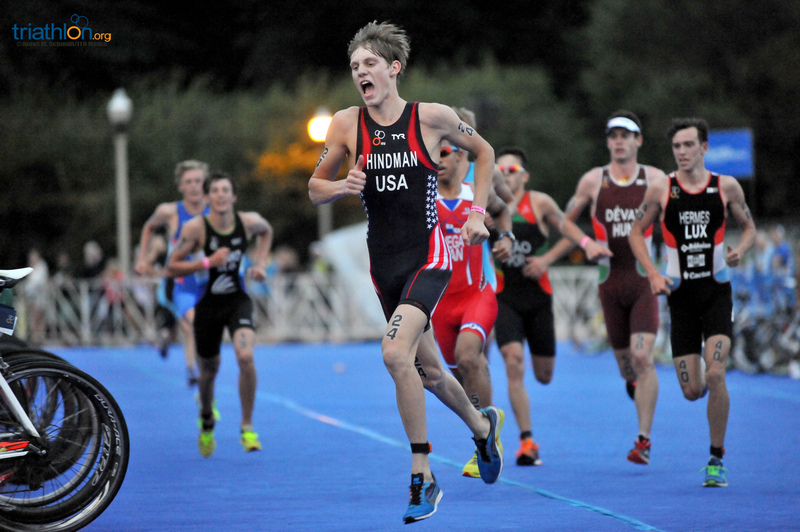 In a feisty battle down the finish cute, Messias shot past Germany’s Peer Sonksen and France’s Leo Bergere, who took second and third, respectively. 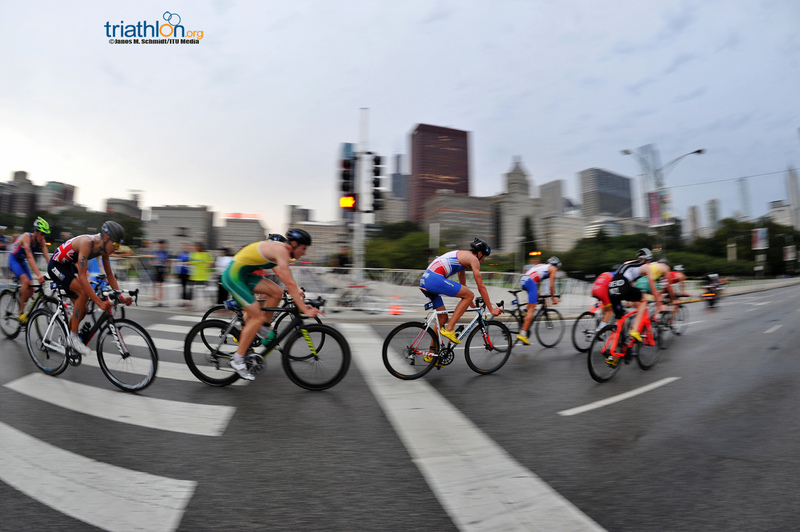 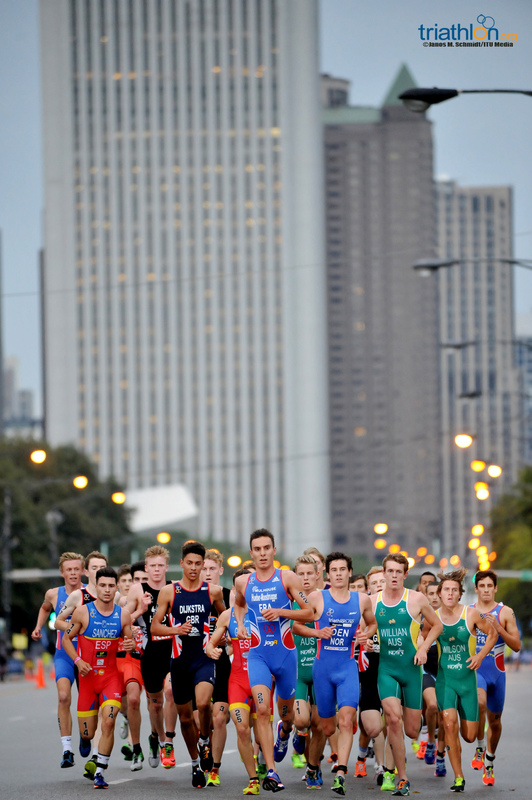 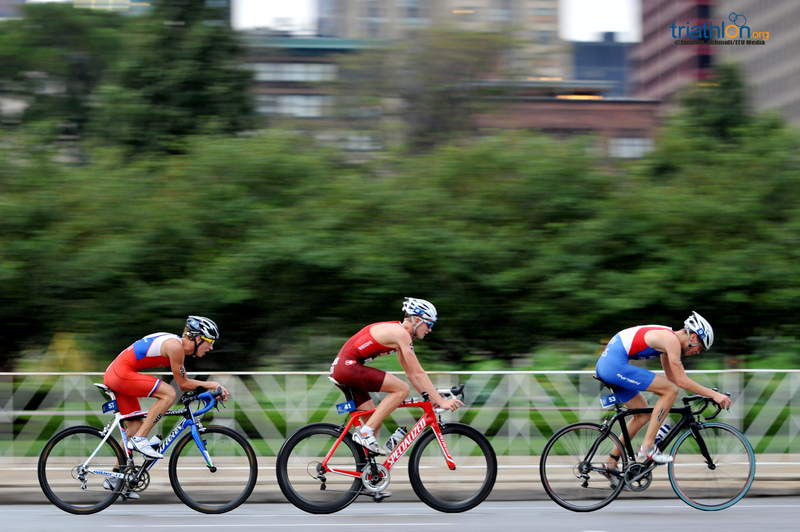 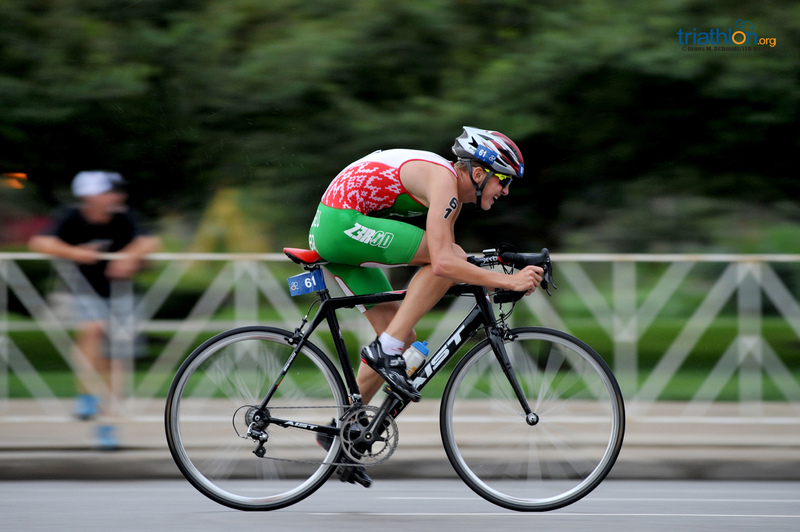 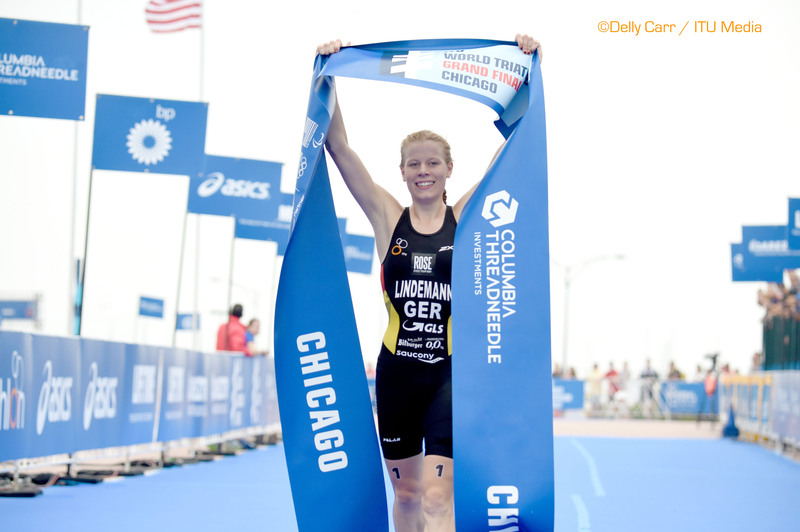 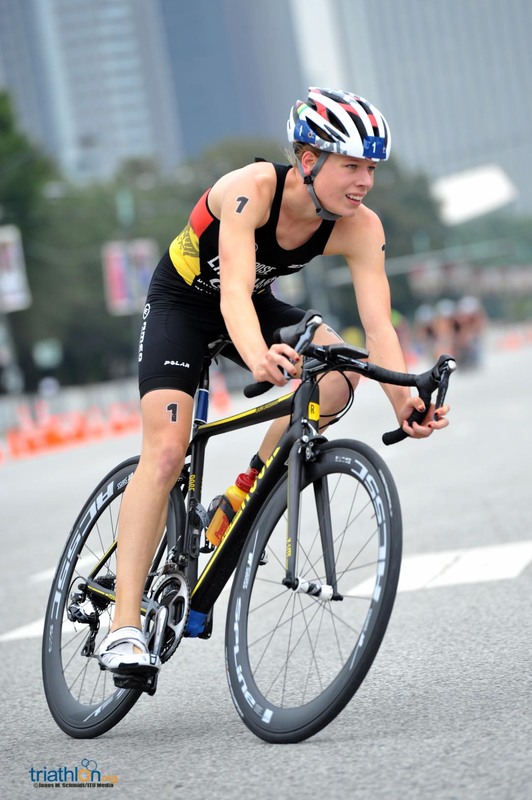 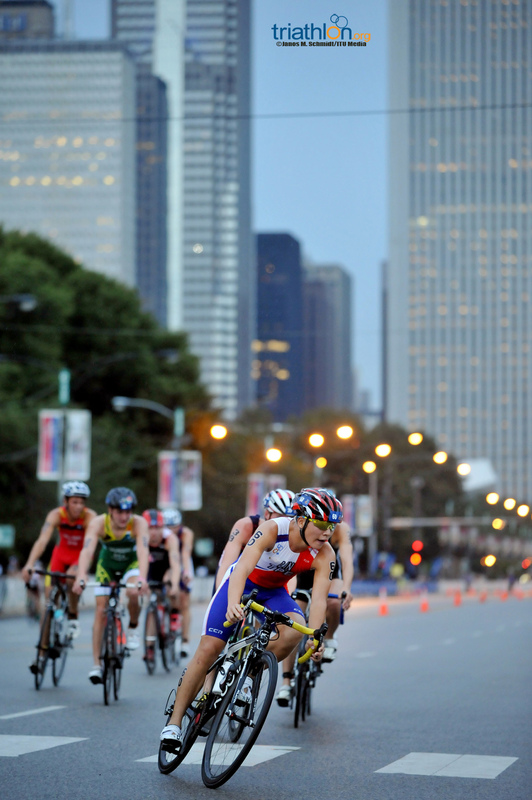 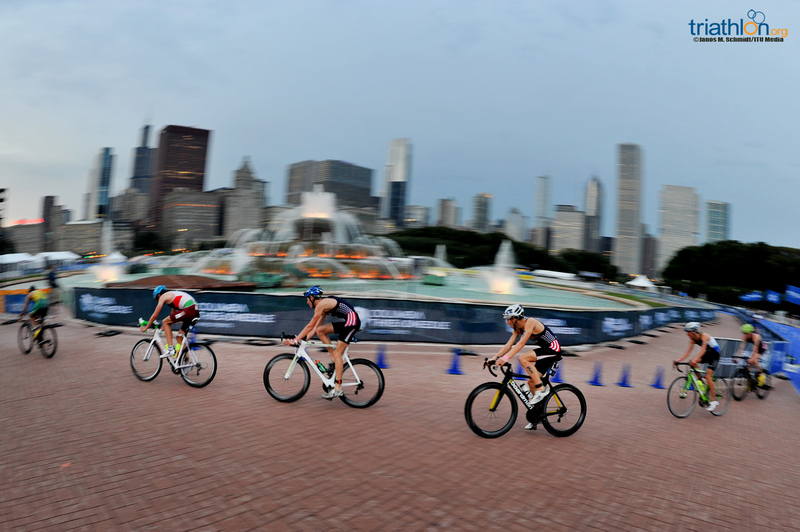 When the course changed from a sprint triathlon to a two-lap 5km run, four-lap 20km bike and one-lap 2.5km run, more than 65 men started their hunt for one world title in front of Buckingham Fountain. 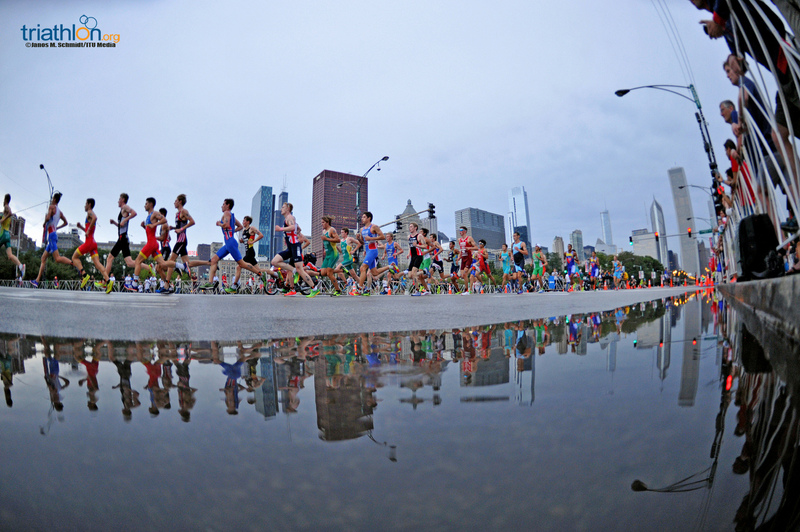 The wide, flat streets created the opportunity for a large chunk of the field to run together in the first discipline of the race. 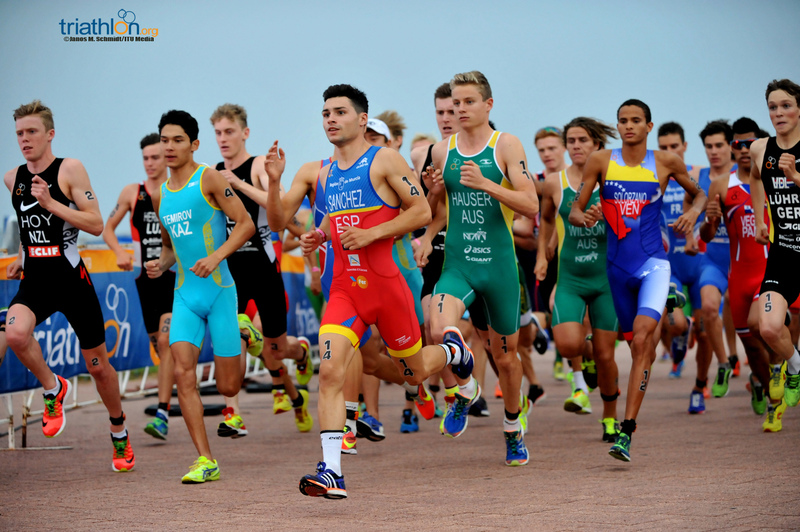 More than 20 men came into the first transition within five second of each other headed up by Spain’s Roberto Sanchez Mantecon. 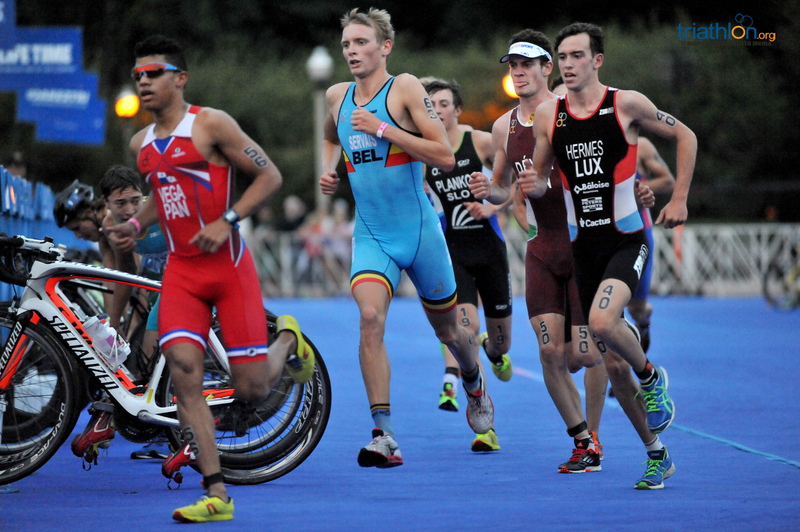 The group also included eventual winner Messias, as well as second and third place finishers Peer Sonksen and Leo Bergere. 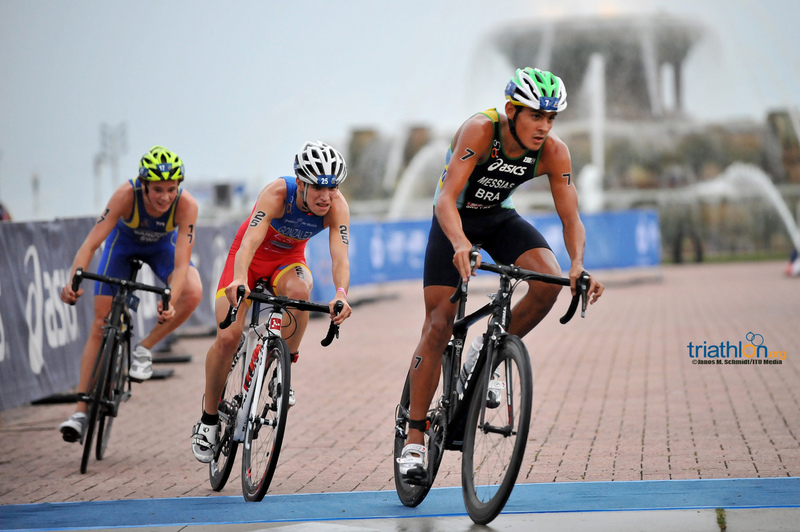 Sanchez set about powering out of transition to create some distance over the field. 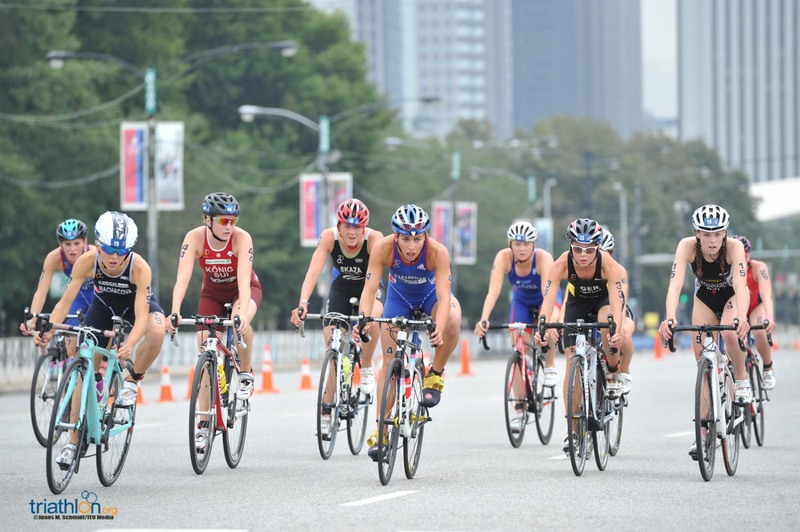 Together with Bergere, Gustav Iden (NOR), Tayler Reid (NZL) and Max Studer (SUI), the men managed to drop nearly half of the pack early on the bike for a 14-front group. 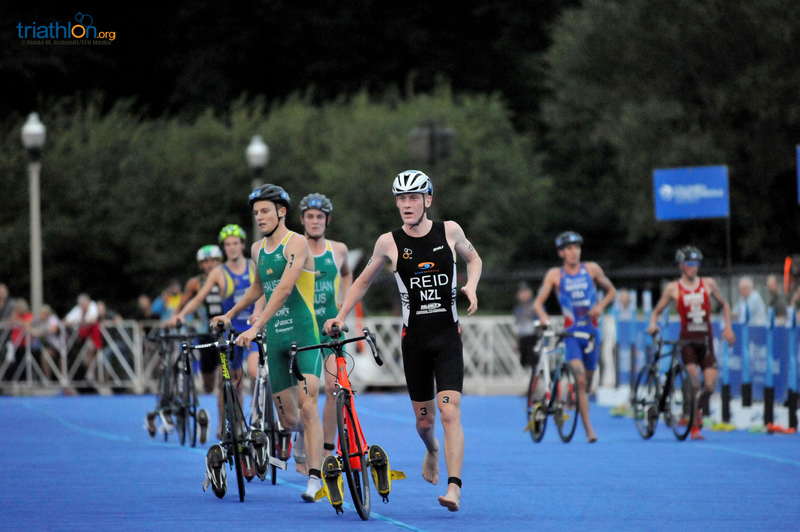 While Reid attempted to go off the front a number of times, his attacks were short lived as the group shot back up to him every time. 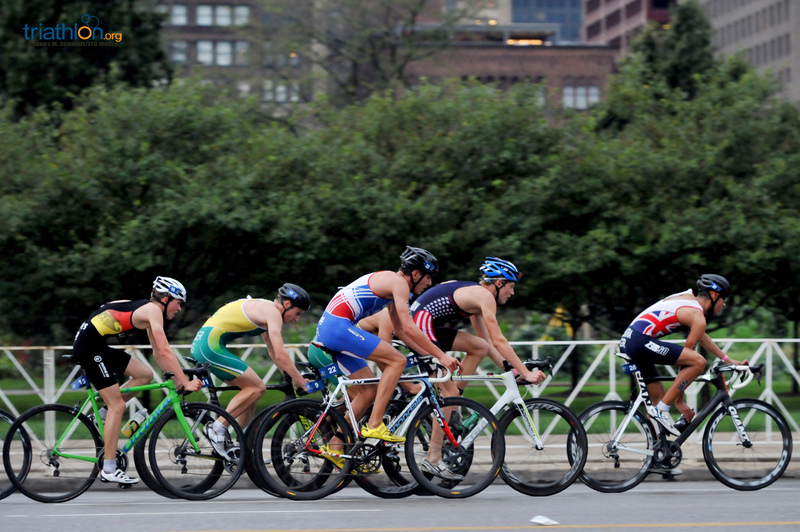 Coming off the four-lap bike, the Junior had just one lap back out on Columbus Street before the world title would be decided. 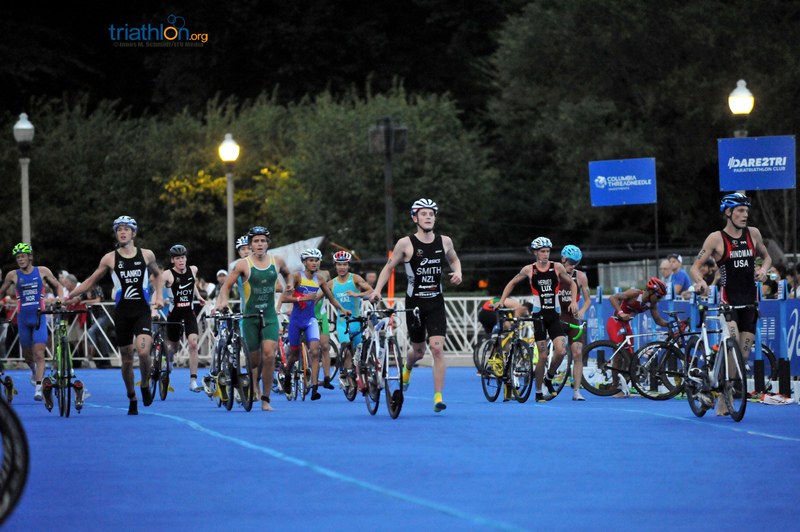 It was a decisive lap as many of the racers fell off a blistering pace. 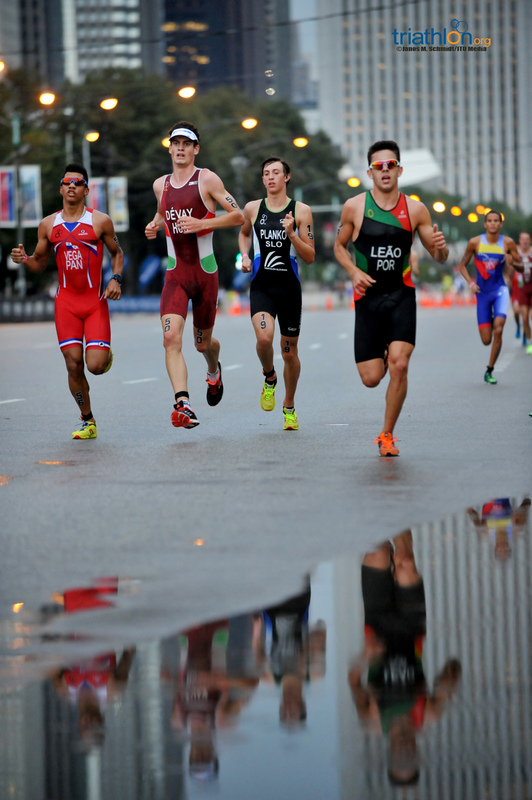 Coming around the Fountain for the final time, it looked like Sonksen would be crowned the fastest man of the day, but Messias managed to kick up his velocity in the final metres, scorching past the German just in time to claim the top honours with a roaring scream. 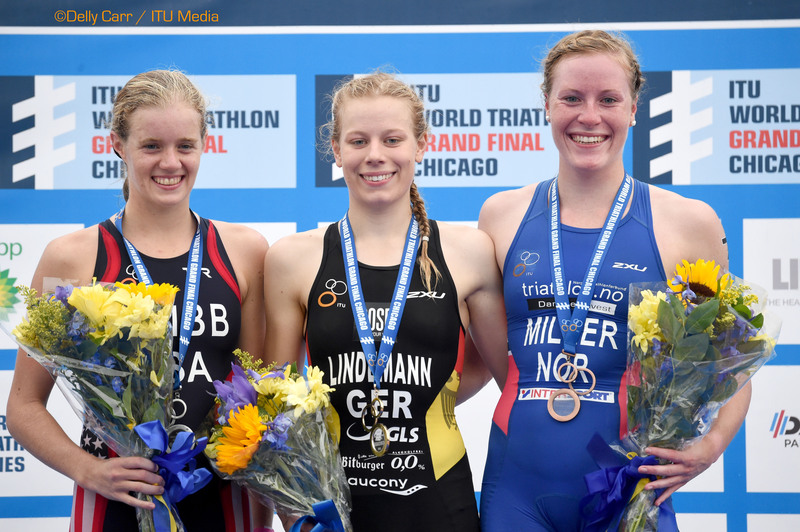 Sonksen and Bergere both joined Messias in rounding out the top three for their first World Championship podiums. 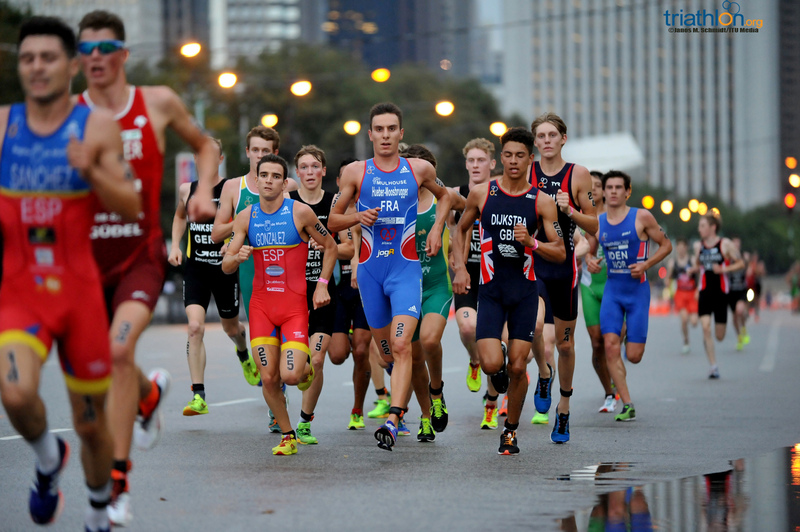 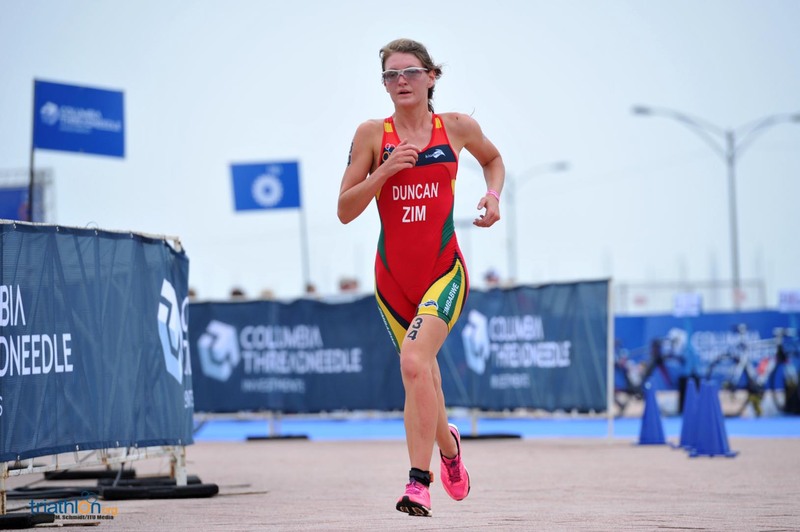 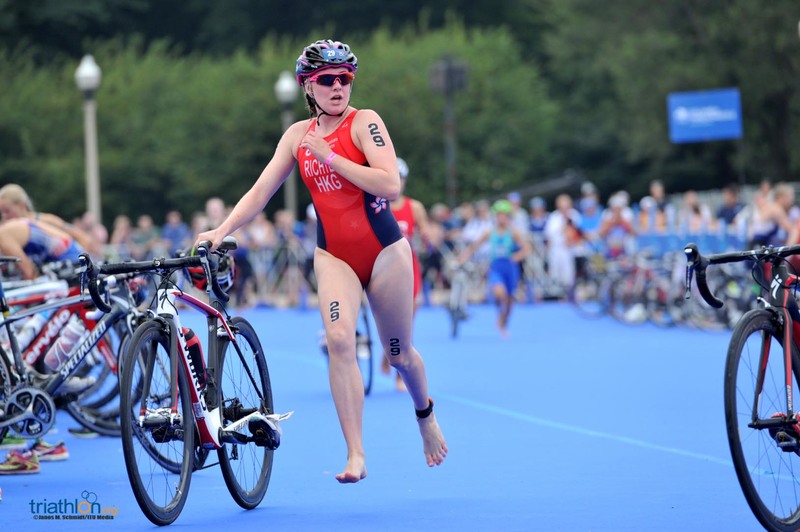 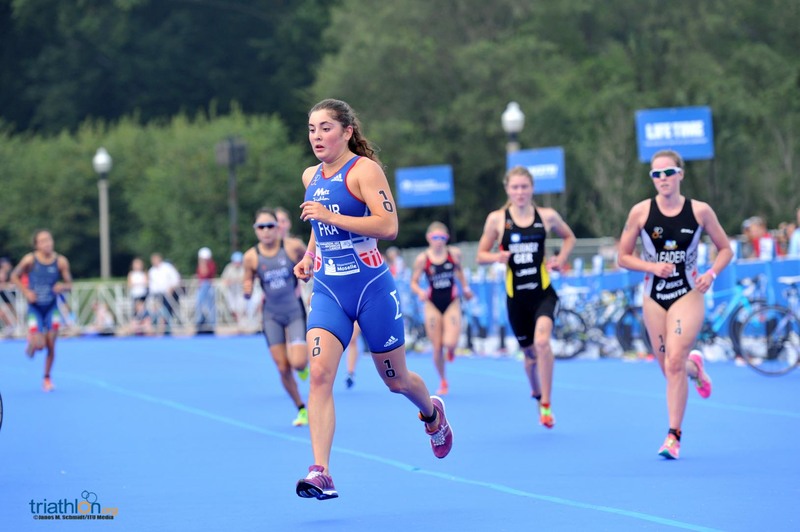 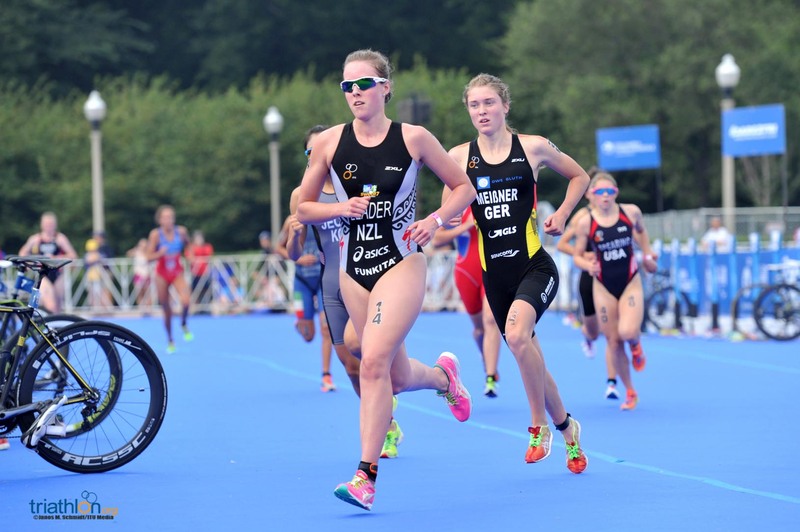 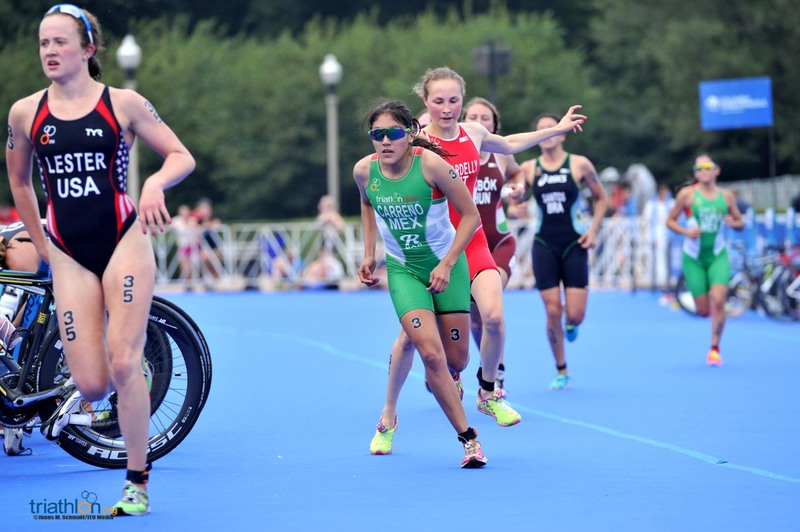 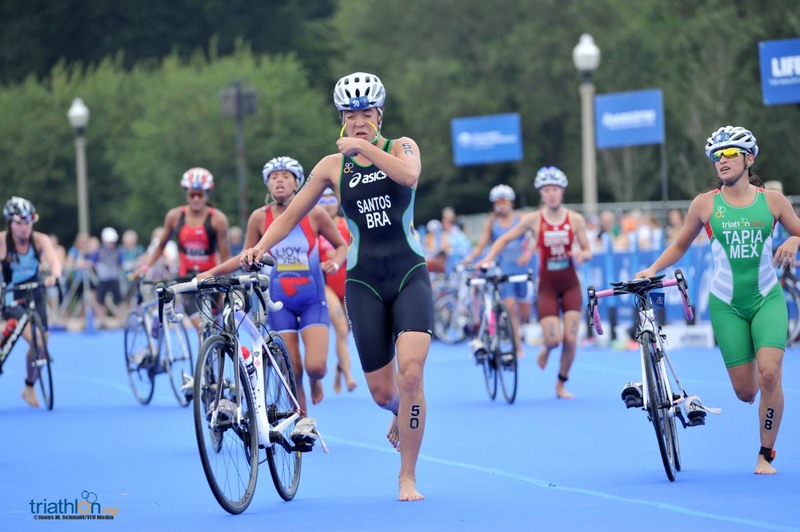 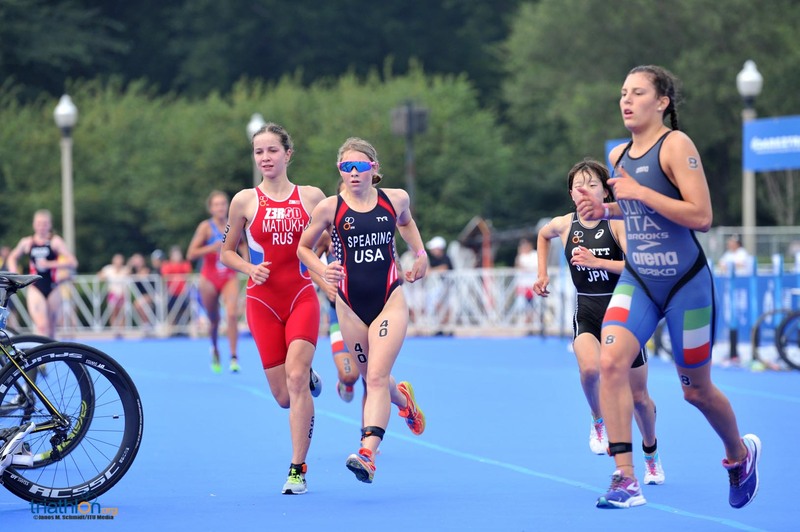 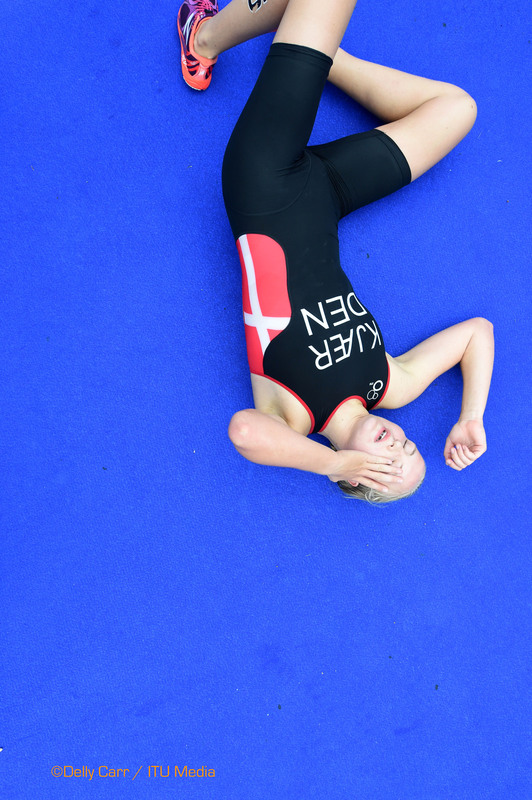 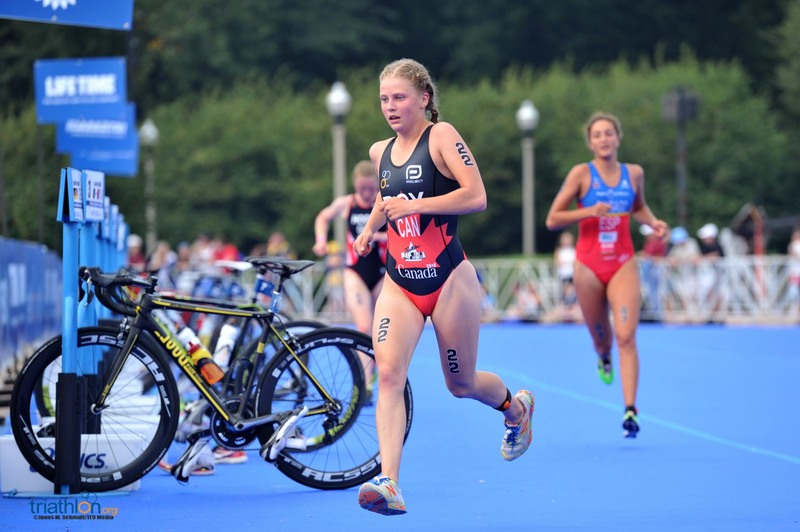 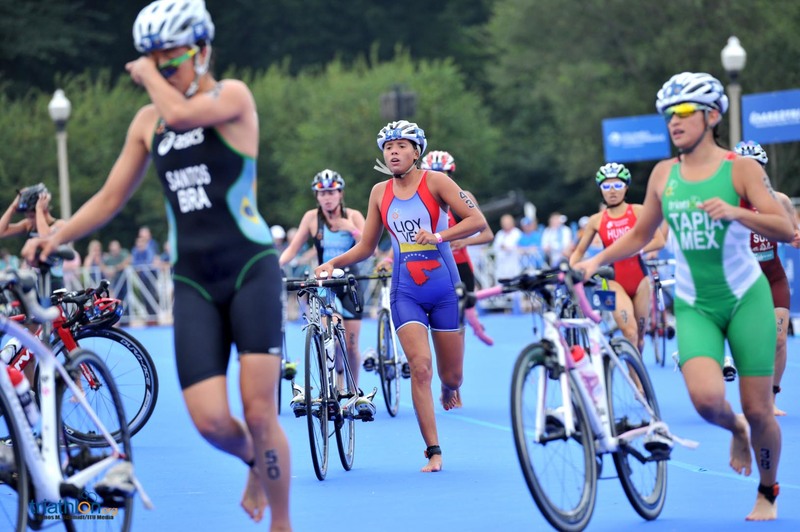 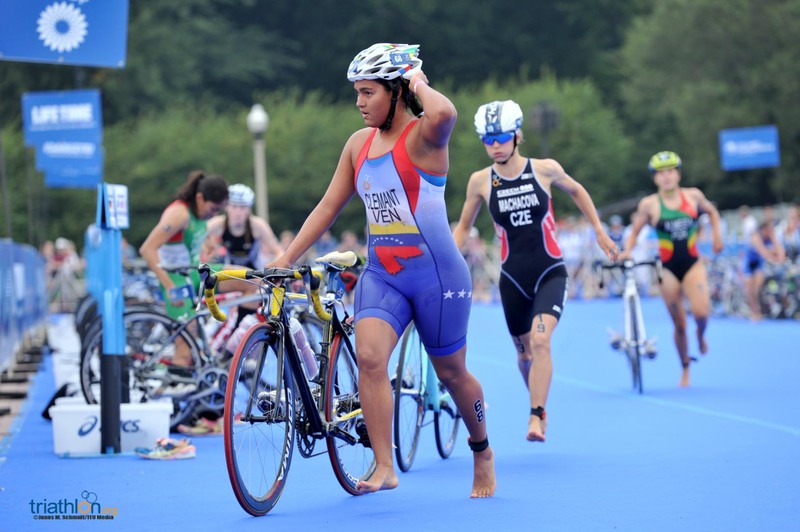 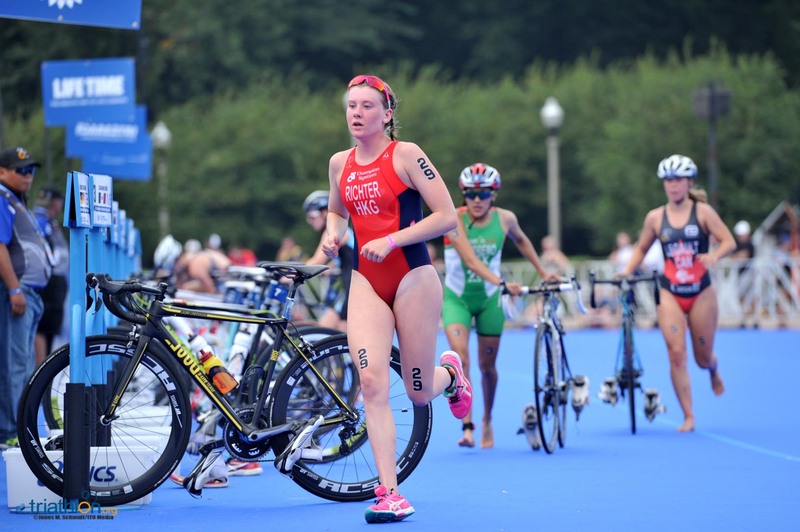 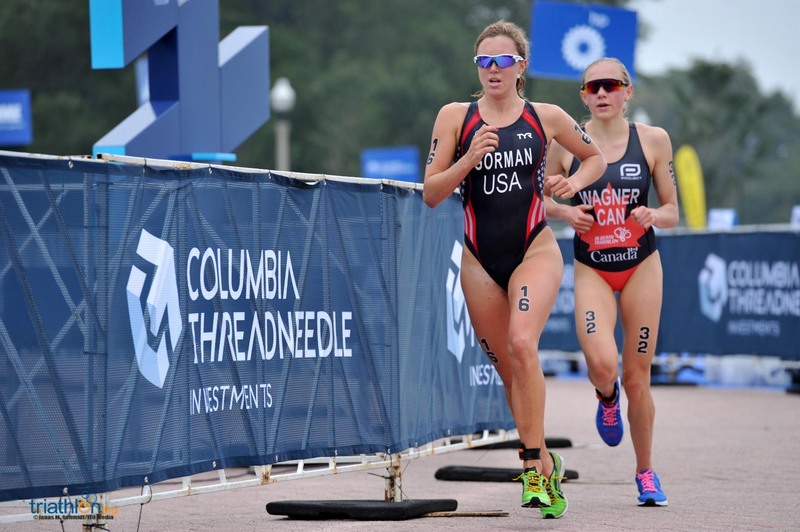 Representing more than 40 nations, nearly 2000 age group athletes pushed themselves to the limits in search of ITU Age Group Sprint World Championship titles on Thursday.